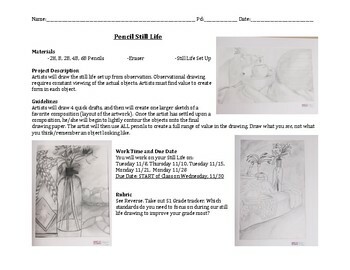 A helpful handout to introduce a larger still life drawing; which is a great project to teach observational drawing. This project is cumulative, and is an excellent end-of-quarter/semester activity. 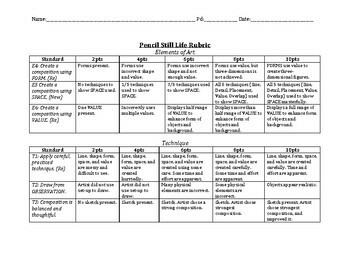 The handout includes a description of the project, instructions for planning, photos of student exemplars, and a very detailed rubric. The rubric grades use of form, value, space, observational drawing, craftsmanship, and composition.